Well, since I’m no longer interested in building the ultimate streaming PC, I’ve turned my attention to building a more traditional tower PC. What? Those are so 1980! It’s like this. What I’m really after is using the now not so new Vulkan API for graphics programming. My current challenge is, my nice tighty Shuttle PC doesn’t have the ability to run a substantial enough graphics card to try the thing out! I do in fact have a tower PC downstairs, but it’s circa 2009 or something like that, and I find this a rather convenient excuse to ‘upgrade’. I used to build a new PC every two years, back in the day, but tech has moved along so fast, that it hardly makes sense to build so often, you’d be building every couple of months to keep pace. The machines you build today will last longer than an old hardware hacker cares to admit, but sometimes you’ve just go to bite the bullet. Trying to figure out what components to use in a current build can be quite a challenge. It used to be that I’d just go to AnandTech and look at this years different builds, pick a mid-range system, and build something like that. Well, AnandTech is no longer what it used to be, and TomsHardware seems to be the better place for the occasional consumer such as myself. The first thing to figure out is the excuse for building the machine, then the budget, then the aesthetics. Aesthetics: I want it to be interesting to look at, probably wall or furniture mounted. Since the excuse is being able to run the Vulkan API, I started contemplating the build based on the graphics card. I’m not the type of person to go out and buy any of the most current, most expensive graphics cards, because they come out so fast that if you simply wait 9 months, that $600 card will be $300. The top choice in this category would be a NVidia GTX 1080. Although a veritable beast of a consumer graphics card, at $650+, that’s quite a budget buster. Since I’m not a big gamer, I don’t need super duper frame rates, but I do want the latest features, like support of Direct X12, Vulkan, OpenGL 4.5, etc. A nice AMD alternative is the AMD Radeon Rx 480. That seems to be the cat’s meow at the more reasonable $250 price range. This will do the trick as far as being able to run Vulkan, but since it’s AMD and not NVidia, I would not be able to run Cuda. 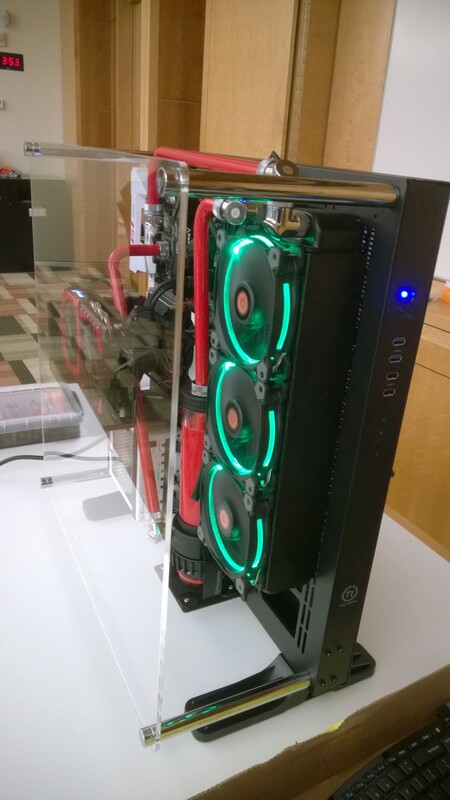 Why limit myself, since NVidia will also run OpenCL. So, I’ve opted for an NVidia based MSI GeForce GTX 1060. The specialness of this particular card is the 6GB of GDDR5 RAM that comes on it. From my past history with OpenGL, I learned that the more RAM on the board the better. I also chose this particular one because it has some red plastic on it, which will be relevant when I get to the aesthetics. Comparisons of graphics cards abound. You can get stuck in a morass trying to find that “perfect” board. This board is good enough for my excuse, and at a price that won’t break the build. Next most important after the graphics card is the motherboard you’re going to stick it in. The motherboard is important because it’s the skeleton upon which future additions will be placed, so a fairly decent board that will support your intended expansions for the next 5 years or so would be good. I settled on the GIGABYTE G1 Gaming GA-Z170X-Gaming GT (rev. 1.0) board. It’s relatively expensive at $199, but it’s not outrageous like the $500+ boards. This board supports up to three graphics cards of the variety I’m looking at, which gives me expansion on that front if I every choose to use it. Other than that, at least 64GB of DDR4 RAM. It has a ton of peripherals, including USB 3.1 with a type-c connector. That’s good since it’s emerging. Other than all that, it has good aesthetics with white molding and red highlights (sensing a theme). To round out the essentials, you need a power supply. For this, I want ‘enough’, not overkill, and relatively silent. The Seasonic Snow Silent 750 is my choice. Besides getting relatively good reviews, it’s all white on the outside, which just makes it look more interesting. And last, but not least, the CPU to match. Since the GPU is what I’m actually interested in, the CPU doesn’t matter as much. But, since I’m not likely to build another one of these for a few years, I might as well get something reasonable. 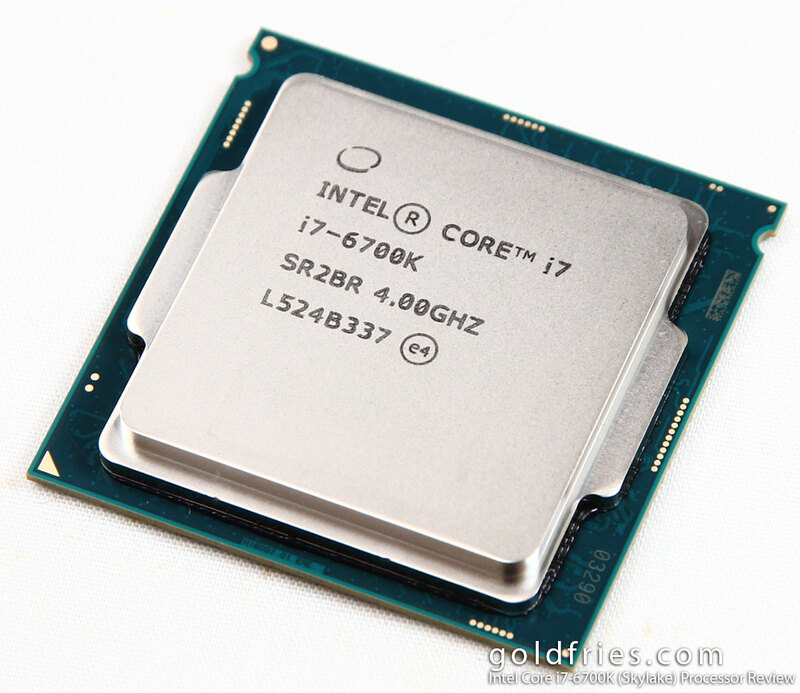 I chose the intel i7-6700K for the CPU. At $339, it’s not cheap, but again, it’s not $600. I chose the ‘K’ version, to support overclocking. I’ll probably never actually do that, but it’s a useful option nonetheless. I could have gone with a less expensive i5 solution, but I think you lose out on hyper-threading or something, so might as well spend a $100 more and be slightly future proof. Now, to hold all these guts together, you need a nice case. I already have a very nice case housing the circa 2009 machine. I can’t bring myself to take it apart, and besides, I tell myself, it doesn’t have the io access on the front panels required of a modern machine. Since part of my aesthetic is to be able to show the guts of the machine (nicely themed colors), I went with something a bit more open. The Thermaltake core P5 ATX Open Frame case is what I have chosen. Now, I’m more of a throw it together and start using it kind of builder, but putting a little bit of flash into the build could make it a tad more interesting. 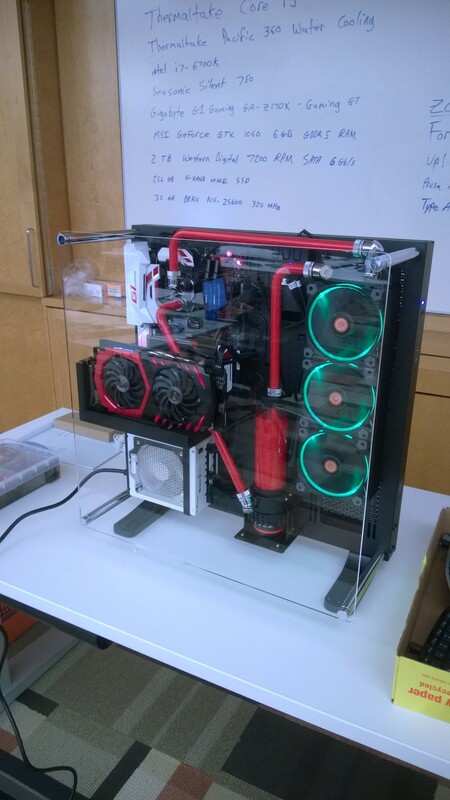 Less heat dissipation problems, and if I ever do that cool liquid cooling piping stuff, I’ll be able to show it off. This case also has options to mount it against the wall/furniture, and I’ll probably take advantage of that. I can imagine having a home office desk with a couple of these mounted on the front just for kicks. Thrown in a few monitors for surround, and… Oh, but I’m not a gamer. The rest of the kit involves various memory, storage, etc. The motherboard has M.2 as well as mSata. So, I’ll probably put an SSD on one of those interfaces as the primary OS drive. Throw in a few terabytes of spinning rust, and 64GB of RAM, and it’s all set. The other nice thing about the motherboard is dual NICs. One is for gaming, the other (intel) is for more pedestrian networking. This can be nothing but goodness, and I’m sure I can do some nice experimenting with that. Well, that’s what I’m after. I added it all up on newegg.com, and it came out to about $1,500, which is nicely under budget, and will give me a machine I can be happy with for a few years to come. I had a previous twitter account, but since I never used it, I can’t even remember what it was. But, at the behest of Laura Butler @LauraCatPJs, I put up another account so that I could retweet a tweet. It’s the future man! The internet is going to be big some day. Over the past few years, I figured out that in the US, if you spend on your business, you’ll recoup more money than you’ll ever make by simply saving that money in a bank account. So, here we are, it’s the end of the year, what to do? Now, what business does any sane person have putting all this stuff into their garage? Well, first of all, the Pro Jet isn’t actually in my garage, it’s actually being put into production in California. That does leave me with the Weike and Afinia (ignore the GlowForge). The Weike is an interesting tool in that it’s big enough to cut large enough pieces to incorporate into real furniture. The way I see it is, I can cut 1/8″ or 1/16″ slices and create my own “plywood”. That can result in a lot of possibilities. And of course there’s always the paper/cardboard cutting for kids crafts, ‘living hinge’ jewelry boxes, and the like. The Afinia, whenever it shows up, can serve for in house ‘print/cut’, rather than being the heavy duty garage bound tool. It will go in my office. The Afinia is just an evolution of a fairly good ‘just print’ printer. I purchased one of the earliest Up! printers a few years back, after first spending quite a few frustrating months with the original MakerBot Cupcake. I’ve loved my Up! ever since, but it’s getting long in the tooth, so it’s time for an upgrade. The H800 has a larger print area, and probably more importantly it has an enclosed volume with a HEPA filter. This makes it a candidate for living inside the house if I make space for it. The larger print volume will make it feasible to print fun parts for construction, and not just little trinkets. I’m looking forward to having an enclosed build volume, it will likely make for better temperature control, and thus less warping of ABS. I recently had one of my ancient designs printed on the powder printer, just to see what it would look like. I have plans to have it made using injection molding process, meanwhile, using the Afinia will help me make some small runs of the same, in true rapid prototyping fashion. Speaking of designs, I recently installed the 2015 version of OpenScad. It renders my old designs nicely enough, and it has some new features which will make some work I had done previously even better. So, what better time to dust off some of those old designs and update them with the modern OpenScad. We’ll see how hard it is to get back into the mindset of that programming environment. And how can the year end purchases ignore electronics! At $5 (for basic board), how could any self respecting tinkerer pass this up. Yes, if you really add things up, it’s much more than this, but I already have enough power supplies, keyboards and wifi dongles in stock that these are not additional costs, and the incremental cost to me is truly $5. At the very least, I can see using these as a learning tool to teach Linux. A Raspberry Pi 0, with LuaJIT installed, and tons of “Lua Tools For Linux”, and you’re all set. So, finishing the year with a wallet busting blowout, taking back some tax dollars in the process, and generally setting up to have some great fun in the new year.